Homeowner frustrated with Sears after enduring winter with no heat. 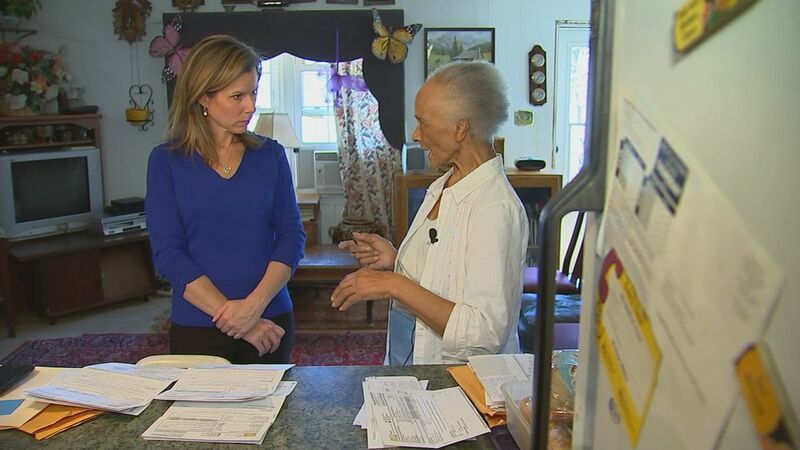 CHAPEL HILL, N.C. (WTVD) -- At 87-years-old, Chapel Hill homeowner Melba Jones says she tried to be patient, but after going the entire winter without a working furnace, she says her patience wore out, and she wanted help. Melba says her heat went out late last year. "I didn't have heat at all," she said. She called Sears since she says her furnace was covered by the company and they did send a technician to her home. "He says 'I can't find the part.' He said it was made in Canada and we can't get a part," Melba recalled. Melba waited to hear from Sears, but nothing -- and she became frustrated. Space heaters were the only thing keeping her and her family warm. "Six inches of snow on the ground with three little space heaters," she said. Melba says she kept calling Sears but says she wasn't happy with what she was told. "I suggest to you to call an expert heating system, and you try to find someone, and I said no it don't work that way because I got it from you. I have a warranty, and you are responsible," Melba insisted. Melba reached out to me, and I got in touch with Sears, which took quick action getting Melba's furnace up and running. "You get things done. I never would have gotten it done without you. Thank you; you worked it out," Melba said. "At Sears, the satisfaction of our members is our top priority. Our member solutions team has looked into Ms. Jones' situation, and our Home Improvement team repaired her HVAC system on Friday, March 1. We regret the delay and hope she remains a loyal Sears customer and Shop Your Way member."